Students stand around with friends on the dance floor. 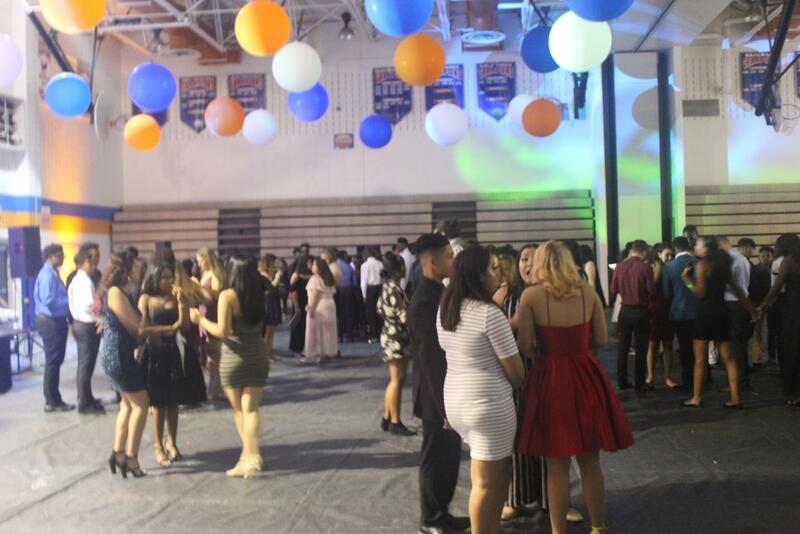 Students danced the night away at the annual Homecoming dance on October 6, surrounded by orange and blue. They enjoyed snacks and a photo booth next door in the second gym. 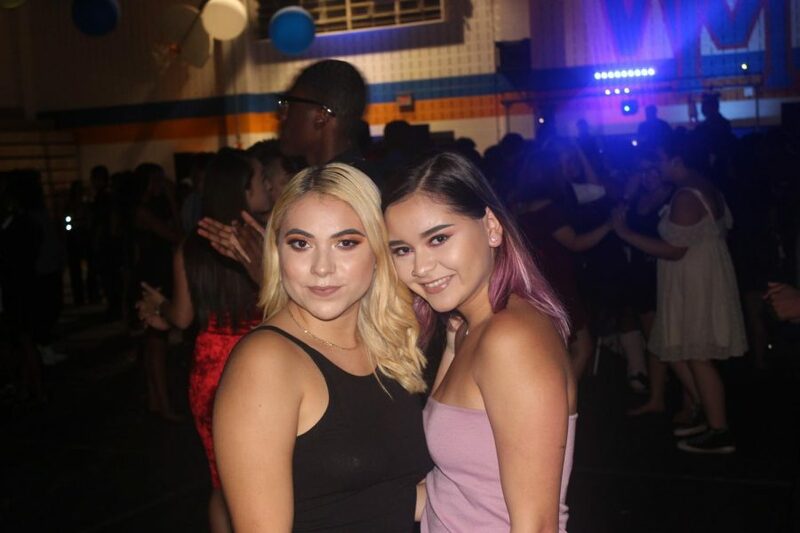 Two students enjoy homecoming 2018.